This week is “peak week” in my Shamrock Marathon training cycle. Even if you didn’t know that, you might have figured it out based on the fact that I’m eating everything in sight. I’m less than a month away from running my second marathon and I’m gonna be honest: I am starting to get scared a bit nervous. I had an amazing time running Richmond last November, but I completely fell apart at mile 22. I have had a pretty good training cycle this time around and been feeling great…until this week. My runs have gone fine, but all of a sudden I am panicked about my marathon. I’m nervous that I’ll fall apart again. I’m nervous that my time will be awful. I’m nervous that I haven’t done enough speed work. I’m just nervous. 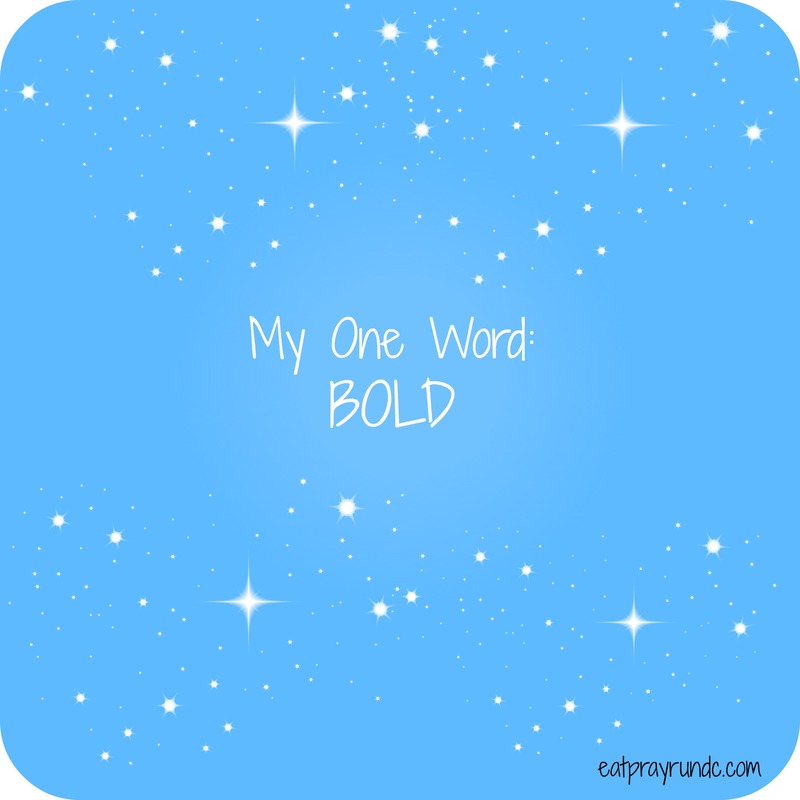 Then I remembered that I had declared that I was going to live boldly this year. I remembered that I’ve done more speed work (by far) than I ever did during my first training cycle. I’ve done more long runs (maybe twice as many) and I have much more of a base than I did. I remembered that I’ve run in snow, rain, and frigid temperatures and that I’ve not skipped a long run. I remembered how much mentally stronger I’ve gotten since I stopped running with music. I remembered that I can do all things through Christ who strengthens me. So while I’m still a bit nervous about the race (and those pre-race jitters won’t dissipate), I’m no longer fearful. How do you handle fear before a race? Thank you Michelle — I really appreciate those kind words! Mar @ Mar on the Run! recently posted…Every Day I’m Shufflin’: Giveaway Wednesday! Thanks BRF!! It is seriously going to mean SO much to be to see you out there!!! I have to remind myself that I can do everything to train for the race, but when it comes down to the day, it’s going to be what it is. I can’t make it any better, so I attempt to let go and let God handle it. Also your training (or lack of) will show on race day so just have faith that your hard work will bring you through. Taking deep breaths! Visualization is a good idea too. Picture yourself having a great race & crossing that finish line! You got this! Thank you Crystal! Visualization is a great tip!! I’m finding this too! (running Shamrock also) Once the calendar clicked over 4wks/1month to go, everything is making me nervous, twitchy. Fighting with gear (gel flasks, water), need more songs for my playlist, hotel choices, maps. I find I am antsy much of the time. Highly recommend Sage Rountree’s book Racing Wisely – good tips in there and race planning help, checklists. (there is still time for it to help you if you get it) I’ve read a couple of times and now need to work on the checklists. One of her suggestions is to make a list of your best workouts during training – whether it was hitting pace or pushing through on a rough day. I’m working on visualization (have been during long runs, am now doing it outside runs too). Getting other books and listening to podcasts on mind training – TrailRunnerNation with Lenny Basham is one. I’m planning on re-listening to Runner Academy Mastering the Taper podcast next week. Already re-listened to their episode w/ Matt Fitzgerald on fueling beyond the wall (and have read his book a couple of times during training, changed my fueling a bit as a result). You’re going to ShamROCK this race! Yay for Shamrock! I honestly feel so much better just having shared my concerns and seeing that it’s not just me. Excellent recommendations — thank you so much! When are you getting into VA Beach? I feel much better too, knowing it’s not just me. I thought it was a little early but this race is a big deal to me. I think we’re heading to VaB Friday. I would love to sleep at home Fri night but am concerned about sitting in a car so long Saturday, would rather be there & do a shakeout run. Plus, need to hit the expo (Bart Yasso speaking 3x!) and Whole Foods, etc. Have reservations at 3 hotels, trying to choose. I’m also debating whether to come back Sunday instead of Monday to sleep in my own bed, eat my own food – I’m on a very restricted diet b/c of a lot of food sensitivities, so travel is stressful. Though not sure it’s the best thing for my legs to be in the car immediately post-race as it’s 2x the distance as when I did that with Richmond half, both driving distance and race distance! Lindsey recently posted…Sunsational Sunshine Burgers! That’s right woman. You can do all things through Christ who strengthens you. I believe in you, and it sounds like you’ve been working hard to accomplish this amazing task. I’m still learning to run again, but I’m slowly trying desperately to make it happen. This is so timely – I have some doubts & fears about my second marathon too, and then I remember how more “natural” this training cycle felt in the sense that nothing was really new. The biggest gains were in the rest department, taking easy runs easier, and fueling throughout the day with more purpose. I have a sense that your ample training volume will have you rocking Va Beach, I’m looking forward to cheering you on (I’ll be doing the half)! Thanks! I think you will have a GREAT race — it’s so cool your race is so small – I may try to make it out there to run some miles with you! Looking forward to Shamrock and tons of fun in VA Beach! When are you heading down? Driving down Friday midday, leaving Sunday later in the afternoon. Also staying near the start/finish.